Textile scholar Milton Sonday is featured in one of the Met's many exhibitions, which will be on view through December 31, 2018. Sonday is know for his studies on the structures of handmade fabrics, especially woven textiles and lace. Sonday also worked at The Textile Museum in Washington, D.C. (now The Textile Museum at George Washington University) as an assistant curator for their carpet collection, moving on to be part of the curatorial staff at the Cooper Hewitt Museum. He taught many seminars on fabric analysis and developed methods that enabled students to recreate structures of historical textiles. 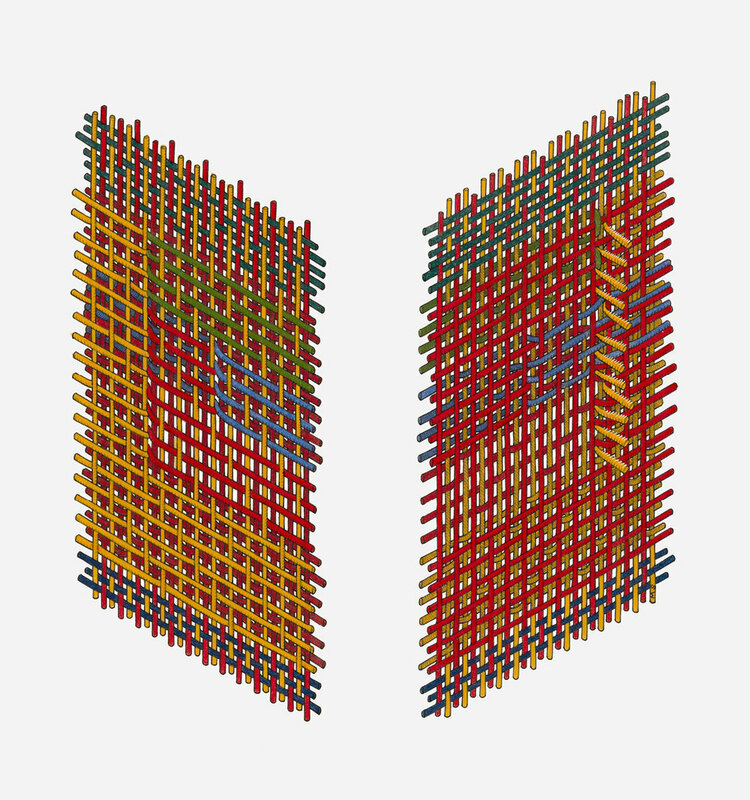 The Secret Life of Textiles: The Milton Sonday Archive includes a selection of Sonday's studies of lace structures and couched embroidery, loom models for patterned weaves, and diagrams made from classic handwoven textiles. On view at the Met Fifth Avenue in Gallery 599.